Happy Holidays. Taken from Chris Ryall's site, need I say that they should print these up each year? Artwork door Stephen Mooney. 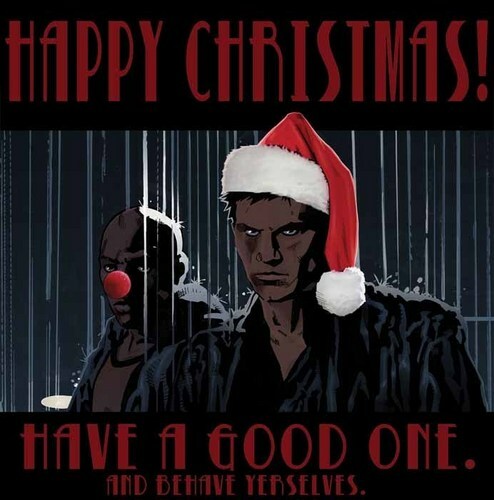 Wallpaper and background images in the Buffyverse Comics club tagged: angel not fade away comic holiday christmas gun.